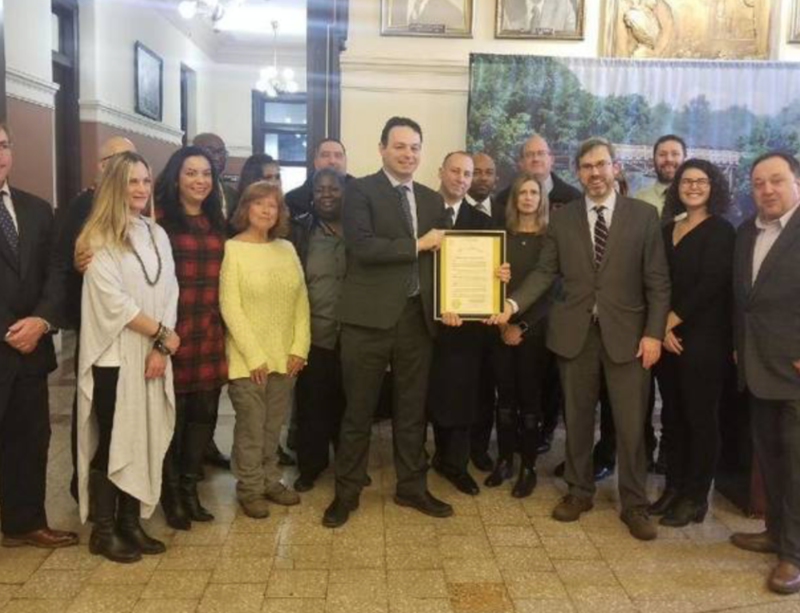 Jersey Renews has three top goals: reducing greenhouse gas emissions, increasing clean energy infrastructure, and ensuring good, family-sustaining jobs. In New Jersey, nearly 50% of all greenhouse gas emissions come from the transportation sector. Light-duty vehicles, like the standard family car, are the dominant source of transportation emissions but heavy-duty vehicles, like diesel trucks for industrial or commercial use, are a significant source of particular matter emissions which contribute to poor air quality. As a densely populated state, much of the central and northern parts of New Jersey are urbanized. Urban areas tend to have higher concentrations of greenhouse gas emissions and air pollution, harming residents’ health by increasing rates of asthma and respiratory and heart disease. According to the American Lung Association, 11 counties in New Jersey received an F for air quality due to high concentrations of ozone. Every mile converted to electric is 70% cleaner than a gas-powered mile. Increasing the number of electric vehicles on the road is a crucial step for meeting the state emissions reduction goals. Since electric vehicles (EVs) were introduced, there have been significant jumps in range capacity and pricing has become more affordable. 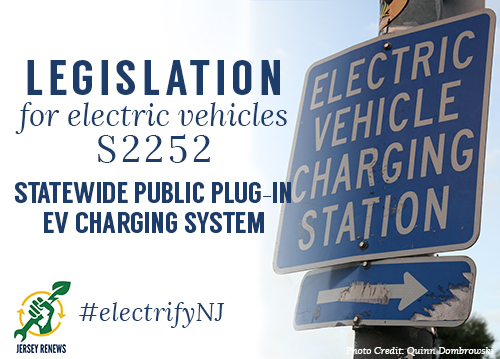 However, many New Jersey businesses, government departments, and residents are hesitant to personally invest in an electric vehicle without statewide charging infrastructure. 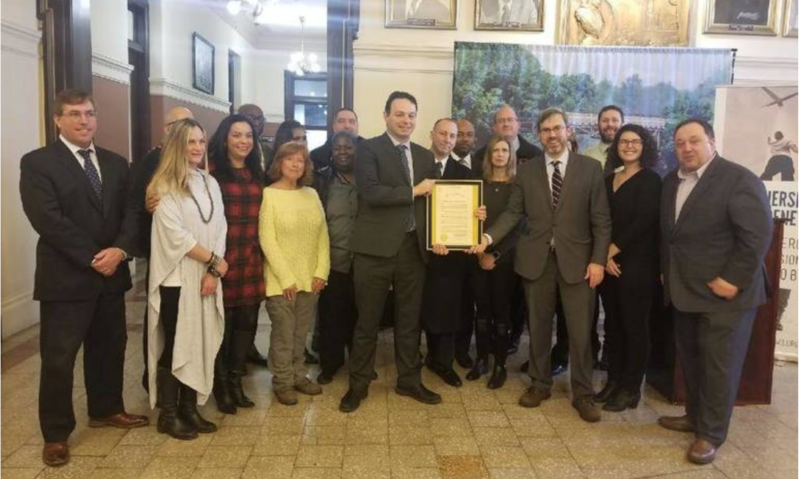 The bills identified pave the way for New Jersey to become a leader in electric vehicle adoption, cutting greenhouse gas emissions and improving residents’ health. 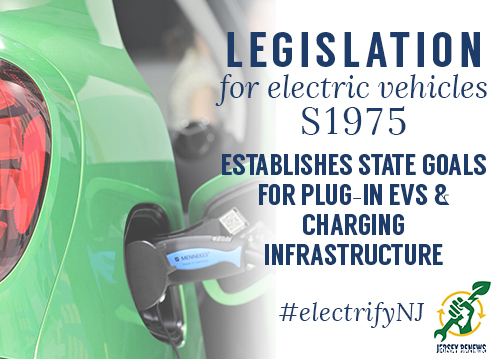 Establishes state goals for adoption of plug-in electric vehicles and EV charging infrastructure. Establishes statewide public plug-in electric vehicles charging system. 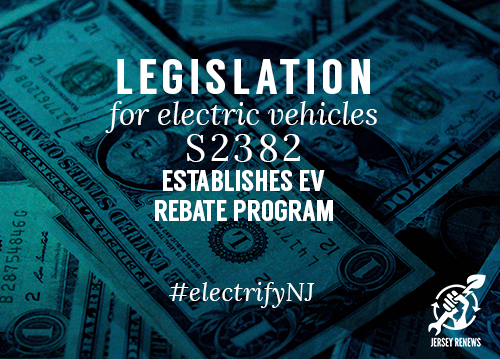 Establishes electric vehicle rebate program. Our goal is 3,000 signatures to be delivered to Governor Murphy and other elected officials showing broad support for climate policy. and protections for workers and communities.